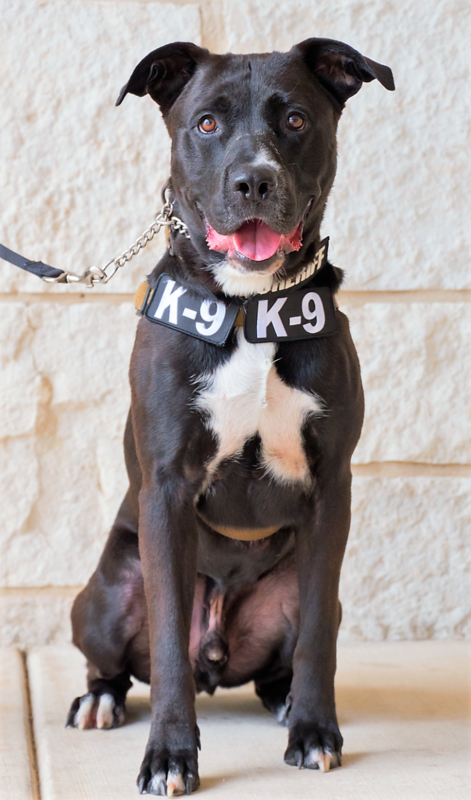 K9 York is in need of an in-squad kennel. Donate today to make this grant possible! Here’s how this equipment both helps York and Deputy Caldwell on the job. An in-squad kennel allows the K9 to be safely transported when on the job! It fits securely into the rear seat of the squad and provides roll-cage level protection while a K9 is at work, on the road, and away from home. 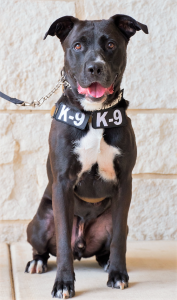 K9 York is a 3-year-old Bulldog/Labrador mix certified in Narcotics. His is assigned to Deputy Miranda Caldwell of the Monroe County AR Sheriff’s Office. York loves to play tug and snuggle with his blanket. He is a rescue from Texas and where he was found starved. K9 York has come a long way to work alongside his best friend, with whom he shares a birthday. NOTE: The funds collected as part of this fundraiser will be allocated to the agency’s Equipment Grant Application with Hero K9 for their K9. Should the application status change and/or if donations received are in excess of the goal amount, donations will be directed to the organization’s general fund to provide additional equipment grants and cover operational costs and/or other business-related expenses.